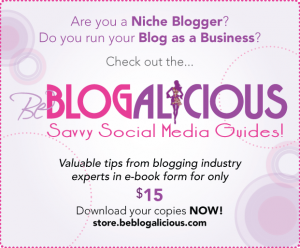 So, you’re headed to Blogalicious Weekend? You’re prepared for a weekend of learning, networking, empowerment, and some fun sprinkled in there somewhere. The networking part is mainly why I attend conferences. To finally meet people in person whom I’ve already connected with via various social networking channels is the highlight of any conference if you ask me. Meeting new people is definitely an added bonus. One of the main goals behind meeting people is to make a lasting impression. Since I’m a techie, the way I make an impression is using those QR codes that others can scan and unveil all kinds of information about me. When people see the code, it always seems to strike up a conversation. I am still amazed about how many people are not hip to QR codes. So allow me to give you some QR code tips, tools and services that you can use to make your own impression at your next event…hopefully in time for Blogalicious! QR code is short for “Quick Response code” so the first thing you need is the actual square-looking code that people can scan. You don’t need to be a programmer to generate the code, as there are many ways to get a code for free. 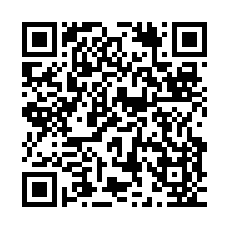 The site I use is XZing Project QR Code Generator. From my experience, you can enter the most amount of information (Name, Title, phone, business name, url links, etc.) 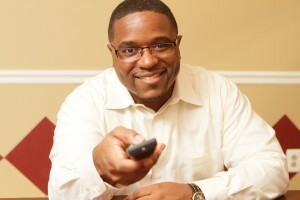 and the end result is a high-resolution code that you can then put on…whatever media you like. - Moo.com: Moo.com is very QR code friendly – Upload your code, add some flare, and the end result is a beautiful and interactive business card. - Stickerscan: Add your QR Code stickers to existing business cards (cause you still have a ba-jillion left), folders, your own gadgets, etc. - Zazzle.com: You can add your code to business cards, stickers, tshirts, mugs, hats, tshirts, just about anything you can buy from their site, you can add a QR code to it. A cool way to compliment (or completely discard) your business cards is with a mobile contact page. They’re websites that are optimized for viewing on mobile phones. Visitors to your mobile contact page after scanning the QR code that is generated after you populate the site with your info, can click on any of the contact links to call you, send you an email, visit any of your social networking sites, or download your contact information directly into your phone. - GetContactInfo: Create multiple profiles and get alerts when anybody scans your QR code and interacts with your page (basic analytics). - ScanMe: You can add, update, and edit your contact information on your mobile site, but use the same code – No need to create another code.